Smilab, the Research & Technology Transfer Center (RTTC) of Smigroup, was chosen - together with other 264 Italian companies - to represent innovation and state-of-the-art technology made in Italy under the Italian pavilion at Shanghai Expo 2010. In view of the Italian presence at Shanghai Expo 2010, focused on the leading theme "Better City, Better Life", Renato Brunetta, Minister for Public Administration and Innovation, and Beniamino Quinteri, General Supervisor of the Government for the expo, launched the contest Italia degli Innovatori (Italy of Innovators). The most innovative projects proposed by Italian enterprises will be showcased at the expo temporary exhibition, along with events promoting the country's technological excellences and know how. All the projects displayed are aimed at bettering life quality and at evening out technological progress in world cities. At the international exhibition of Shanghai Smilab presents the project "C-Sun", a photovoltaic panel which concentrates sun rays in one point so as to increase the amount of electricity produced. Compared with traditional solar panels, the innovative Concentrated solar power system "C-Sun" requires smaller surfaces to provide the same quantity of electricity, thus lowering the production costs. 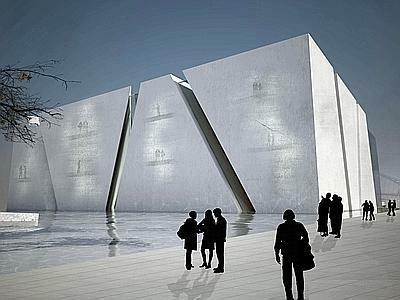 Italy Pavilion at Shanghai Expo 2010 spreads onto a surface of 3.600 square meters, up to a height of 18 meters. The rectangular pavilion - characterized by a futuristic design - features an irregular structure, divided into several modules of different sizes, connected by steel bridges through which you can catch a glimpse of the linking galleries. The use of transparent concrete and alternating slits, which recall narrow lanes typical of an Italian city, create a surprising play of light. The integrated glass curtain wall with photovoltaic elements work as a radiation shield, while the building's lighting is designed to cover all areas within the pavilion and achieve energy efficiency as well.